11 IKC Technical Programme now available. Click on buttons below and click on abstract number to download the respective PDF. 11 IKC invites submissions for oral and poster presentations that align with the following six conference scientific themes which reflect current and future academic and industrial interest in kimberlites and diamonds. diamond mine Image: Michael Brook. The scientific programme will include six invited keynote addresses by leading international experts introducing each of the above conference scientific themes. Preference for inclusion in one of the six conference scientific themes listed above has to be indicated at the time of submission. The selection and acceptance of both oral and poster presentations will be at the discretion of the 11 IKC Technical Programme Sub-Committee chaired by Thomas Stachel and Graham Pearson of the University of Alberta, Canada. The selection procedure will be based on 500 word Short Abstracts that will not be published. The Short Abstracts must be submitted via the 11 IKC online submission system which opens on 12 September 2016. The deadline for receipt of the Short Abstracts is 03 January 2017. Requests for oral and/or poster presentation(s) must be accompanied by a short abstract. There will be a non-refundable submission fee for each abstract of US$45. The submitting (presenting) author must have paid at least the 10% non-refundable deposit on the full delegate registration prior to submission. Short Abstracts are limited to 500 words and should be clear, concise and written in English. No figures or tables should be included. Preliminary notification of abstract acceptance (or rejection) will be sent by 01 February 2017. Payment of full registration fees for each accepted (presenting) author are required by 01 March 2017. Initial notification of allocation of oral or poster presentations will be sent by 15 March 2017. Final acceptance of each presentation will be subject to receipt of a 3 page Long Abstract. The title and authors of the Long Abstract should be the same as the Short Abstract. The deadline for receipt of the Long Abstract via the 11 IKC online submission system is 15 May 2017. There will be no fee for long abstract submission. We recommend that each Short and Long Abstract is carefully compiled and thoroughly checked by all authors. There will be no final short abstracts. Final Acceptance of each presentation will be sent by 01 June 2017. As in previous kimberlite conferences, the Long Abstracts will be made available to delegates at, or before, the conference. In keeping with a long-standing tradition of kimberlite conferences, there will be single oral sessions on each of the five days of the conference (Monday to Friday; no concurrent or parallel sessions). The main orals will be 15 minutes in length plus an additional 5 minutes for discussion and changeover. The new upgraded “projection” system for 11 IKC will consist of a single active LED screen that is 6 meters wide and 4 meters high. This screen ratio is suitable for the new 16:9 widescreen format in PowerPoint. Slides in the classical 4:3 format will, however, fit equally well. All persons giving an oral presentation are required to submit a full manuscript to be considered for publication in the 11 IKC Proceedings Volume. The lecture room and audio individuals are sponsored by Debswana. The poster room is sponsored by Gem Diamonds. As with past conferences, all persons giving an oral presentation are required to submit a full manuscript which will be considered for publication in the 11 IKC Conference Proceedings Volumes in the well-known international journal Mineralogy and Petrology, published by Springer. All persons accepted for poster presentations are encouraged to also submit full manuscripts. The 11 IKC conference language is English. The printed conference programme available upon onsite registration will contain details of the technical programme. 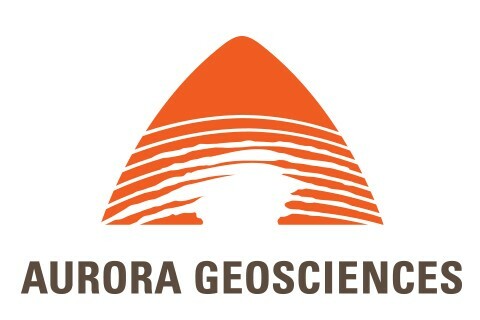 The programme is being sponsored by Aurora Geosciences. Venue West Conference Services Ltd.